Metanoia blew up the punk scene in 2012 with their incredible debut release, Retroceder Nunca. 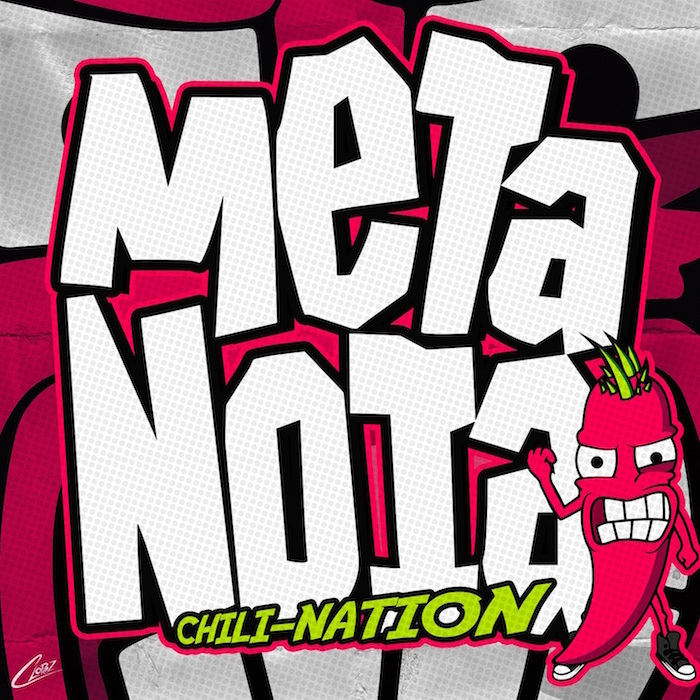 They now return with their sophomore and first English language recording, Chili-nation. The band’s tradition of drawing from other genres adds a blistering edge to the melodic punk of Metanoia. At times almost equally rock, as it is punk, builds Metanoia’s sound to a level that surpasses contemporaries like MxPx, Millencolin, Pennywise and Pulley. Even ska finds a home on “2000 Years Ago”. The intentions of Metanoia’s music and message is clearly laid out on the opening lines of “Right Thing Day”. Here we go again folks. There are many reasons 4 us to sing. We might not change the whole world, but maybe…we get to reach your heart. On the title track, “Chili-nation”, vocalist Benjamin Lopez takes pity on those of us who lack proficiency in Spanish, explaining that Chile is pronounced “Chee-leh” not “Chilly”. The song brings to mind Five Iron Frenzy’s “Oh, Canada” as it continues with it’s fun and light-hearted travelogue of Metanoia’s homeland. Topically ranging from frustration in life (“Matter Of Time”), abortion (“Not Ur Call”), hard-heartedness (“Children), and apathy (“Peter The Slacker”), Chili-nation hasn’t shied away from difficult themes. Matters of Christian faith also arise on “Happiness For You To Take” and “2000 Years Ago”. Lopez shows no difficulty in handling the vocals in English instead of his native Spanish, but the band has also drawn on the notable punk vocal talents of Peter118‘s Peter Field on “2000 Years Ago” and Ted Bond of Craig’s Brother for “Thankful”. Metanoia remains punk in the truest sense of the word. Their concern for social issues take center stage on Chili-nation, but the band hasn’t neglected the entertainment value. Frenzied, energetic, loud, and fun, Chili-nation from Metanoia is a delightful romp through the essence of punk and the album lays claim to being one the premier releases of the year. Chili-nation comes available November 17 through your favourite digital outlets and Thumper Punk Records.